What Was Antonio Esfandiari Thinking With His Ace-Queen Call? If you remember, Esfandiari won the inaugural Big One for One Drop back in 2012, a victory that earned him $18,346,673 and solidified his status as a superstar of the game. 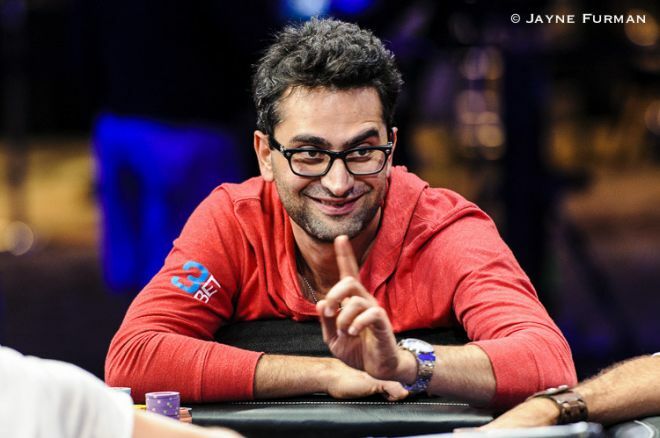 This year Esfandiari was eyeing a title defense, and at that point in the tournament he was in good shape to do it with 11.845 million, which put him in third-highest in chips at the seven-handed feature table behind Scott Seiver (12.45 million) and eventual winner Daniel Colman (12.1 million). 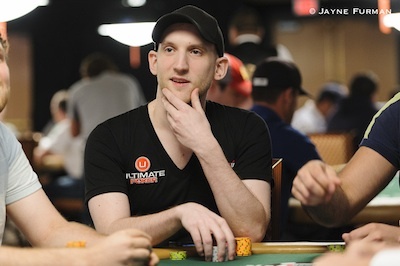 Galfond was the short stack at the table with 2.31 million, while Negreanu had 7.385 million. With the blinds at 120,000/240,000/40,000, action folded to Esfandiari on the button and he raised to 510,000 with . Negreanu called from the small blind with , and action was on a short-stacked Galfond in the big blind, who looked down at . “You guys didn’t expect this did you?” Galfond asked as he just called, leaving himself a little less than 1.8 million behind. According to the PokerNews Odds Calculator, Esfandiari was in the best shape before the flop with a 46% chance of winning, while Negreanu and Galfond had 36% and 17% equity, respectively. But the flop was gin for Negreanu, giving him a flush and leaving both of his opponents drawing dead. Of course Galfond didn’t know this, and after Negreanu checked he moved all in for 1.76 million — which was a pot-sized bet — with his queen-high flush draw and two overcards. It seemed like an easy fold for Esfandiari, who had a clubless ace-high. Nonetheless, he asked for a count and ended up making the call. “I don’t understand Antonio’s call there. Can we pause the clock and ask him to come into the booth to explain?” commentator Norman Chad exclaimed. Negreanu then waited for a few beats before moving all in over the top, and Esfandiari shot back in his chair in frustration before folding his hand. Two cards later Negreanu had eliminated Galfond in 13th place shy of the money. So, what was with Esfandiari’s call? A few players at my local casino couldn’t grasp why Esfandiari made the call, but I can see the logic behind it. After Negreanu checked, there was a good chance Galfond was going to shove. After calling from the big blind, he only had about seven big blinds remaining. That meant if he caught any part of the flop, he was prone to shove, which is exactly what he did. Seeing that my ace-queen was beating two of the three, and that I held two overs in the case of a pair, a call seems optimal. However, one thing Esfandiari didn’t seem to take into account was Negreanu, who was coyly waiting in the bushes. It is possible, though, that Esfandiari did take Negreanu into consideration and dismissed the threat he posed. After all, Negreanu had checked and he was relatively short himself. Because Negreanu flopped the flush, Esfandiari came off looking like a goat, but upon closer analysis I believe he actually made a good call of Galfond’s shove. For what it’s worth, the appeared on the turn followed by the on the river, meaning had Negreanu not flopped a flush and folded, Esfandiari’s call would have eliminated Galfond and he would have looked like a hero. “Antonio's call here certainly looks suspect at first glance, but let’s break it down and see. Looking at the pot odds Antonio was receiving, he was faced with calling 1.76 million to win 3.57 million, meaning Antonio was being laid over 2:1 to call Phil Galfond’s shove. Given Galfond's sub-10 big blind stack, I think it’s reasonable to assume that he would likely be inclined to shove preflop with even semi-premium hands — at least shoving all his pocket pairs, Broadway hands, suited aces, etc. When he just flat calls preflop and open shoves on the flop, what sort of hands does he show up with? He rarely turns up two pair, almost never a set ( , , and maybe even all shove pre), and flushes are hard to flop. On the occasions Phil turns over no pair with a draw — possibly his most frequent holding — Antonio is in solid shape, and rarely does Antonio find himself in a real bad spot, except for when Negreanu wakes up with a big hand behind him. Though to continue here, Negreanu likely will need to have a set, flush, an overpair with a club, or or — fairly unlikely, but hardly a dismissible subset of his total holdings when just calling out of the small blind. So there you have it — a likely explanation for what Esfandiari was thinking when calling Galfond’s all-in. What do you think?